For decades, Alaska has struggled to get running water and sewer systems to its rural communities. An estimated 3,000 households — or about 10,000 people — still lack both. Now, that job may be getting harder, as climate change exacerbates old problems and creates new ones. For years, the village of Unalakleet has piped in drinking water from a creek several miles away. The water main runs along the beach, buried underground. Or, at least, it was buried. In the last several years, that beach has taken a beating. City council member Judie Kotongan remembers one storm in particular. “The surf just was pounding — it moved Conexes,” Kotongan said, describing shipping containers sitting by the water. The storm tore away parts of the bank, exposing the water main. 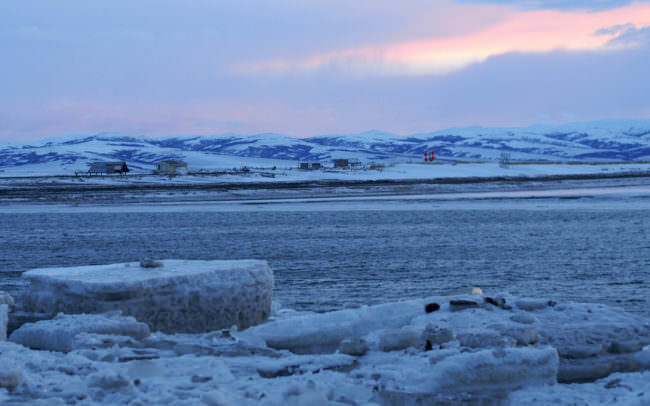 Unalakleet has always had fall storms, but in recent years the village has lost its armor. Sea ice forms later, and storms have eaten away at the coast line. Kotongan said residents worry one big storm could cut off their drinking water supply. It’s not just Unalakleet. Communities around the state are dealing with new threats to water and sewer systems from environmental changes linked to global warming. Bill Griffith oversees the Village Safe Water program, among others, at the Alaska Department of Environmental Conservation. “It does feel at times like you thought you had the water and sewer challenge already solved for some communities, and now you’re going back to the drawing board,” Griffith said. Griffith has been working on these issues in Alaska since 1993 and funds projects all over the state. He said there’s been a shift in the kinds of requests he receives. Thawing permafrost is warping water and sewer lines. Along the coast and rivers, erosion is threatening the lakes that communities use for drinking water or the lagoons where they dump sewage. Streams and reservoirs that used to be reliable sources of water are now less reliable. “It’s one of those things that you might have been looking at for a while but you just weren’t connecting the dots,” Griffith said. But sometime over the last five or ten years, he realized that more of the issues coming across his desk were linked to warming temperatures. There’s no real way to quantify it: the state doesn’t track which maintenance problems are caused by environmental change (though Griffith hopes to start). But Griffith said, from where he’s sitting, it’s pretty clear. Perhaps the most dire example is the village of Newtok in Western Alaska, which has been trying to relocate for more than a decade. The village is losing about 70 feet of land each year to the Ninglick River. Erosion has wiped out the sewage lagoon, and residents are now forced to empty their honey buckets into the rivers. Laura Eichelberger is a researcher and assistant professor at the University of Texas at San Antonio. She visited Newtok last summer to study the impacts of the community’s limited access to clean water. Eichelberger described raw human waste and toilet paper floating in the same water where people keep their boats. Newtok’s drinking water source is also at risk. It sits about 60 feet from the river, and the village expects to lose it sometime this year. Eichelberger said residents are doing a remarkable job managing under intolerable circumstances. But ultimately, something’s got to give. That rapid change is also hitting the North Slope Borough. Last August, the village of Point Lay lost its fresh water source when its reservoir suddenly drained into the Kokolik River. Ice wedges in the permafrost separating the lake from the river had disintegrated. Robbins said permafrost temperatures are rising. The active layer, which thaws each year, is expanding. And sudden disasters are more likely — like Point Lay’s reservoir simply disappearing. Robbins said the borough has purchased a desalination unit in case Point Lay or another village has to rely on salt water. There’s an effort underway to drill groundwater wells. And the borough is now using different engineering techniques to install water and sewer lines into permafrost. Whatever happens, Robbins said, he’s confident people on the North Slope will adjust. Are you seeing climate change impacts on infrastructure in your community? We want to hear from you! 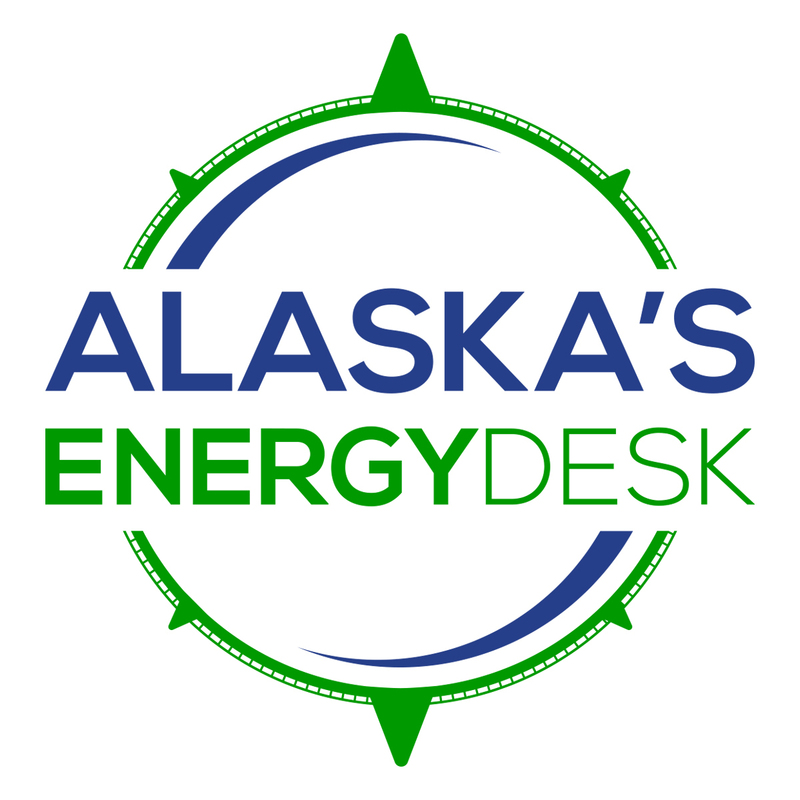 Email akenergydesk@alaskapublic.org or connect with Alaska’s Energy Desk on Facebook. Next articleScientists agree starvation killed hundreds of puffins, but did PSP play a role?